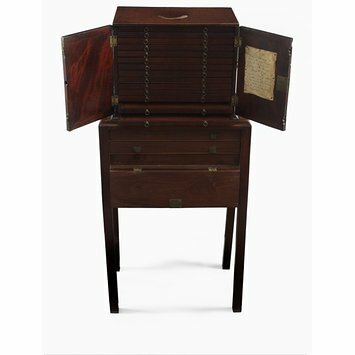 This cabinet belonged to Lady Charlotte Finch, Royal Governess to the children of George III. 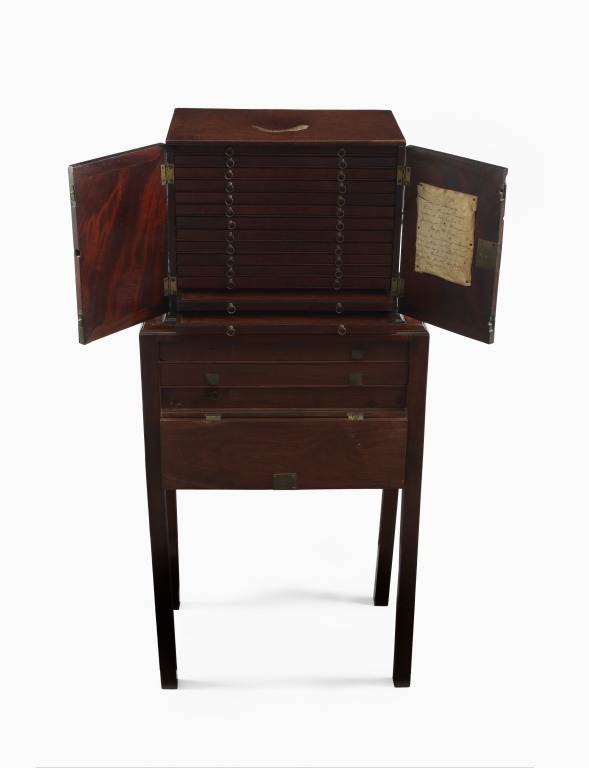 She had it commissioned to hold several dissected map puzzles, which she had created for the royal children. Many of these have survived, having been kept within the cabinet (see B.2 to 19-2011). Finch is credited in a note within the cabinet, by an unknown hand, as having created dissected map puzzles. Educational pastimes of this variety, however, had begun to increase in number immensely during the latter half of the 18th century, with leisure time becoming linked to marketable commodities aimed at those with disposable income. 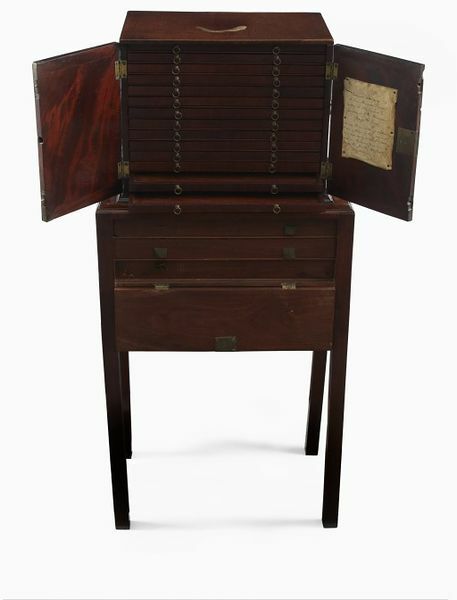 Lady Charlotte Finch's puzzle cabinet, upper cabinet with 13 drawers on lower cabinet with legs, varnished mahogany and brass fittings, English, 1760s. Shefrin, Jill. Such Constant Affectionate Care: Lady Charlotte Finch - Royal Governess & the Children of George III. Los Angeles: The Cotsen Occasional Press, 2003. 168 p.